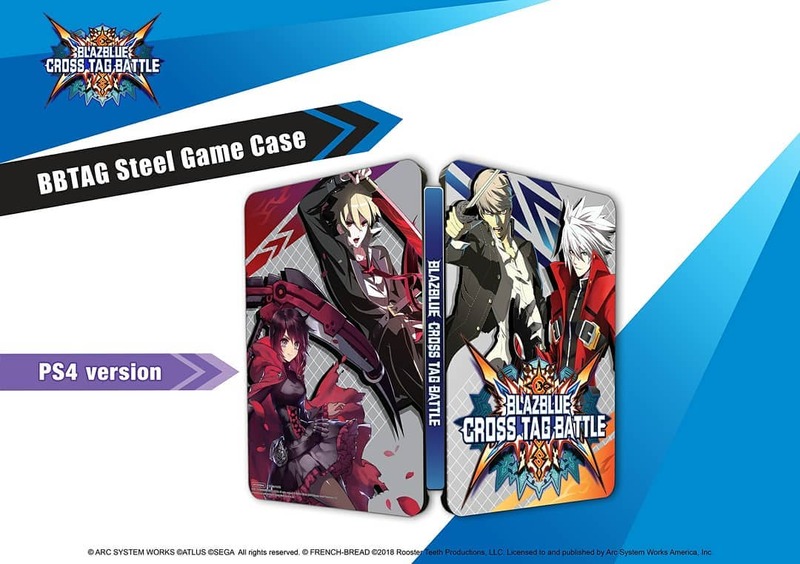 Continuing Arc System Works’ recent deluge of information leading up to the release of BlazBlue Cross Tag Battle, the developer has revealed the Collector’s Edition for the game that will be released on PS4 and Switch in North America. 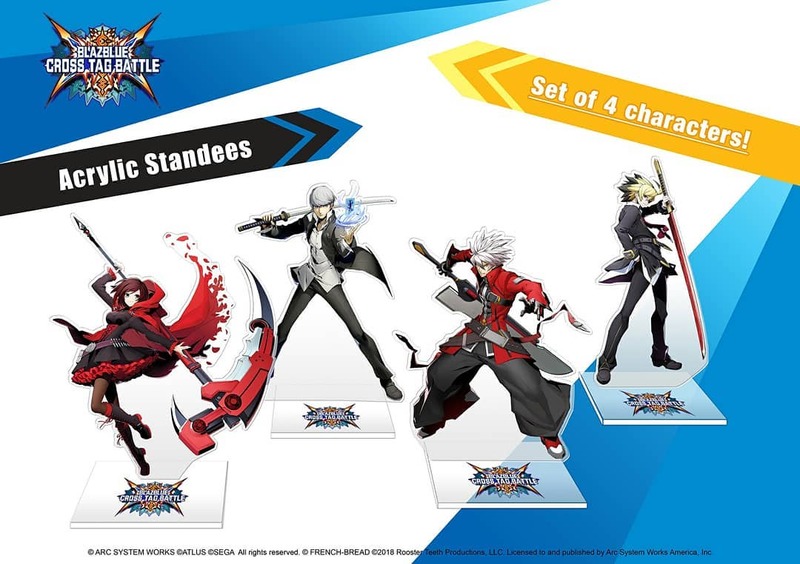 It was previously teased back in March on Arc System Works’ Instagram page, and was revealed during this week’s Arc Live stream. 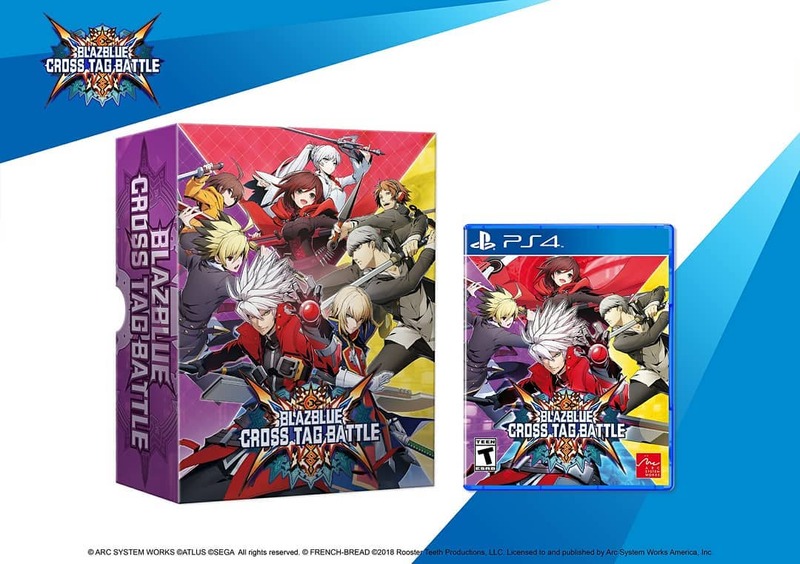 Both the Switch and PS4 versions include the same things, meaning that the Switch pouch available with the Japanese Switch Collector’s Edition is not available here. 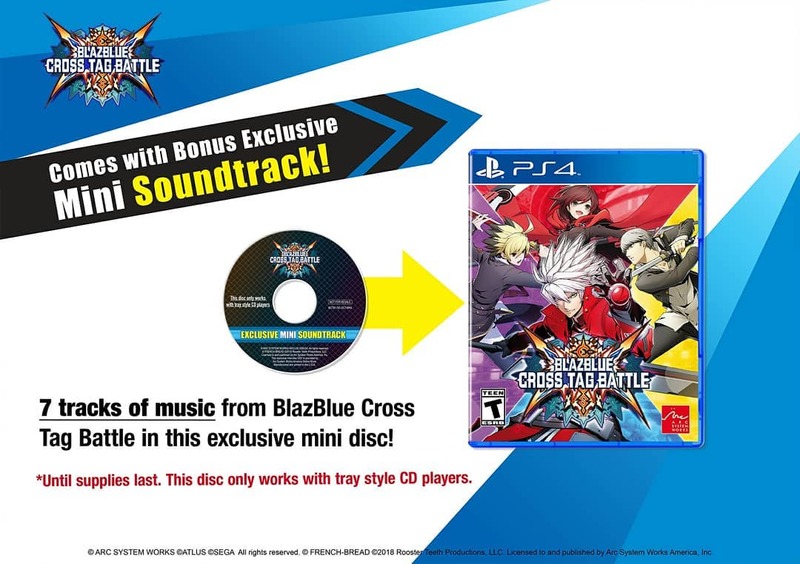 There are some other differences as well, namely that there has been no mention of the western version including the DLC pass, instead coming with the OST which is available as a pre-order bonus in Japan, as well as the SteelBook case. 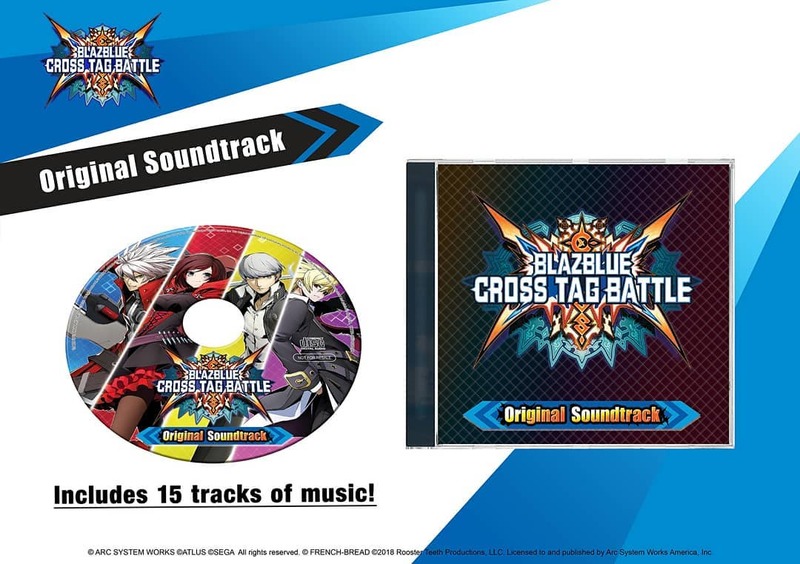 With both the standard and Collector’s Editions, a 7-track OST mini-disc will be available as a pre-order bonus. 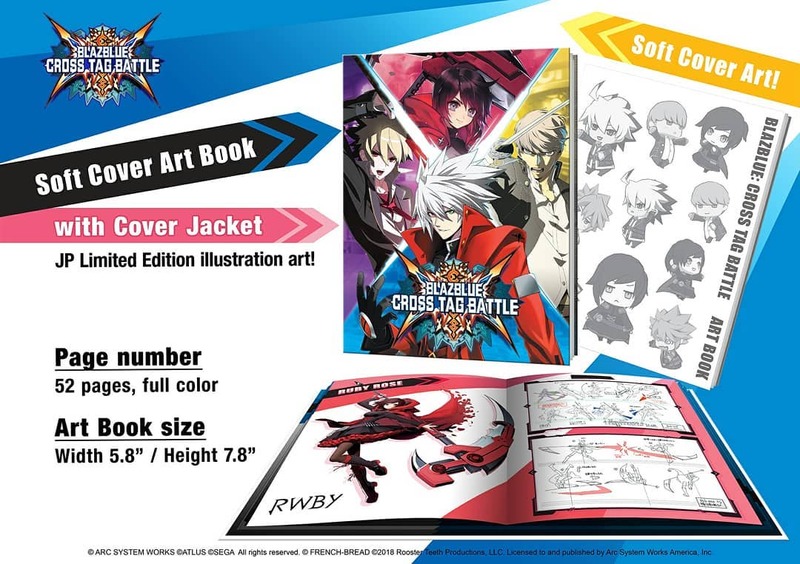 The Collector’s Edition will be available on the Arc System Works eShop on May 4, and when the game launches on the Rooster Teeth store. 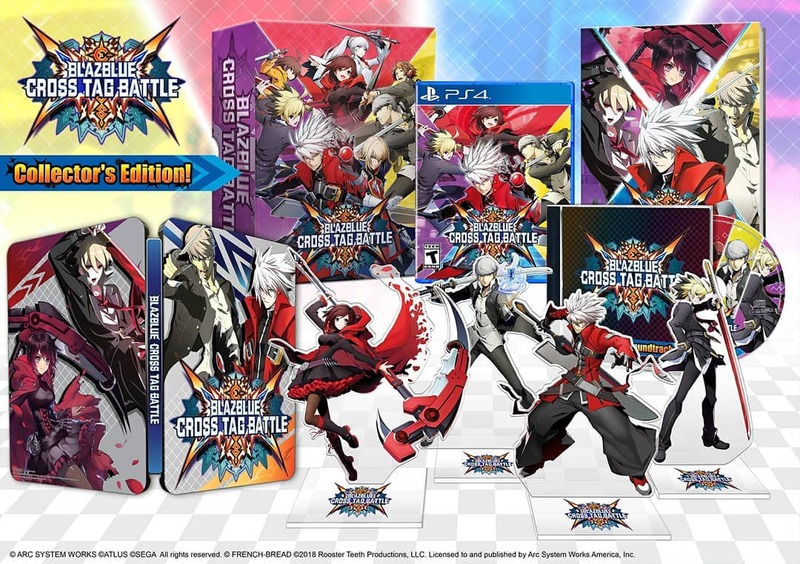 The news doesn’t seem to be slowing down as BlazBlue Cross Tag Battle draws closer to its release on PS4, Switch, and Steam on May 31 in Japan, June 5 in North America, and summer from Pqube in Europe. 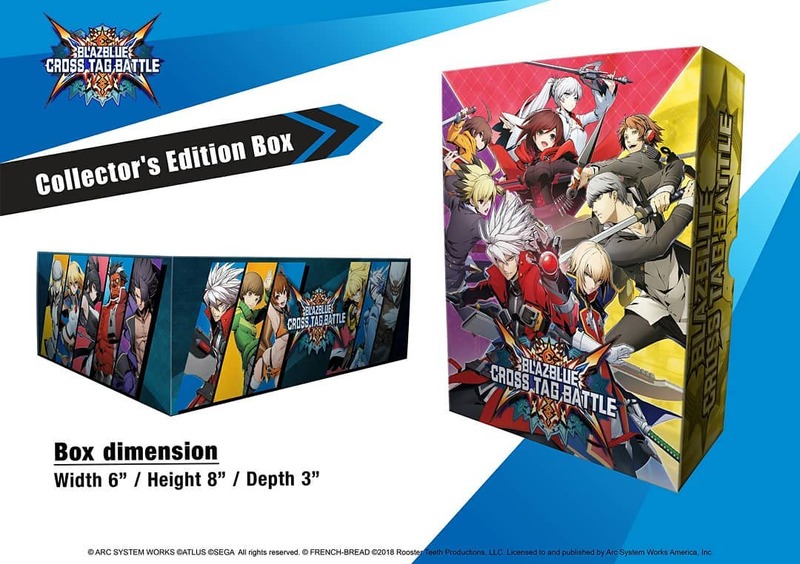 The game is playable at Next Level Battle Circuit (NLBC) in New York this week, and starting next week demos for the game will be playable at GameStop retail kiosks. There’s another Japanese ArcNama stream coming on April 19 with a new set of characters, as well as the first look at gameplay for RWBY’s fourth representative Yang Xiao Long.